It was a debate full of numbers, but the question at its core was a human one: which plan can make housing affordable for the majority of Vancouverites? It was a debate full of numbers, but the question at its core was a human one: which of the people running to be the next mayor of Vancouver can make housing affordable for the majority of voters? 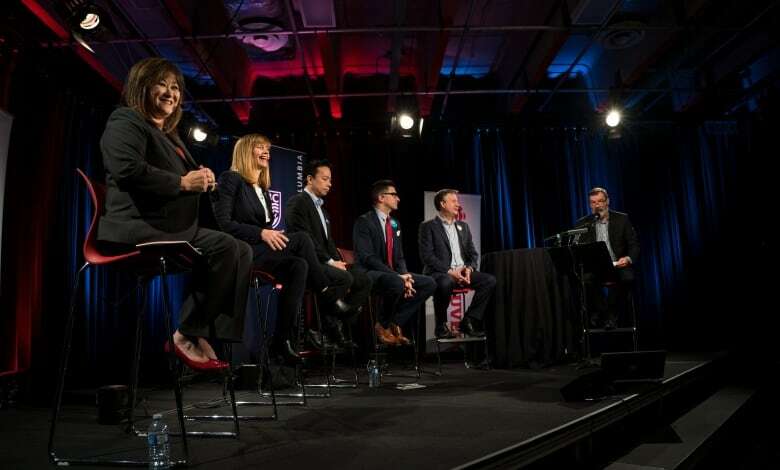 CBC British Columbia and the University of British Columbia hosted a mayoral debate Wednesday morning with Kennedy Stewart, Ken Sim, Shauna Sylvester, Hector Bremner and Wai Young. The debate was moderated by Stephen Quinn, host of The Early Edition on CBC Radio One, and held at CBC Vancouver's Studio 700. The same issue that has dominated political discussion in Vancouver for most of the last four years: housing. Stewart's plan similar to Vision's? Each of the candidates in Wednesday's debate had outlined the key points in their housing platform months ago, but the debate was the last opportunity for candidates to make the case their proposals were superior to their rivals. 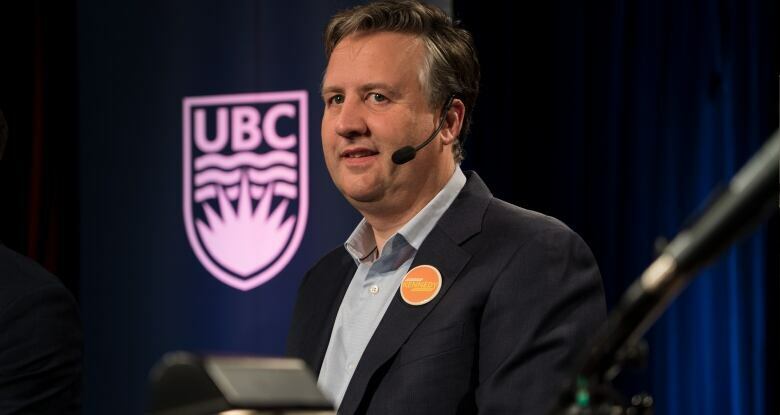 "I looked at the existing plan ... and then I worked with a housing team, and we thought we could get it up to 85,000 units but with a much bigger focus on affordable housing," said independent candidate Kennedy Stewart, who has led in recent polls. His strategy is similar to the 10-year housing plan enacted by the Vision Vancouver government last year but with 13,000 more units and a much greater emphasis on affordable rental. "That is a huge difference. It's a huge shift of focus," he said. "We're in the situation now because the city's plan didn't work, and you've regurgitated it," said NPA candidate Ken Sim. "All you could do is take the Vision plan, and say oh, I think I'll add 10,000 more and call it a day," said fellow independent Shauna Sylvester. But Stewart had his own attack lines, criticizing Sylvester and Sim for not committing to a set number of new housing units. "Give us a number. Give us a number. What's your number? You can attack me all you want, but what's your plan," he said at one point overtop of Sim, who was answering his previous question on how many new housing units would be created by allowing people to have two secondary suites inside their single-family homes. "If you think you can predict what demand is going to be in 2022, and you think you can predict it now and build for it, that's completely foolish," said Sim, who has argued his plan is the only one that would offer immediate relief. "People are struggling today, and they need an immediate solution today, or they won't be here in three years when this housing gets built." Similarly, Stewart attacked Sylvester's ​target of a three per cent rental vacancy rate, along with championing co-op units, co-housing and resort municipality style-housing for a similar lack of construction numbers. "You're just like Ken Sim and you won't give any numbers. Nice stories, but you have to have a plan," he said. Sylvester argued that long-term construction targets were inadequate. "I'm not going to do that, because that is what Vision has done for so many years. That's what the affordable housing task force did and look at where it got us." 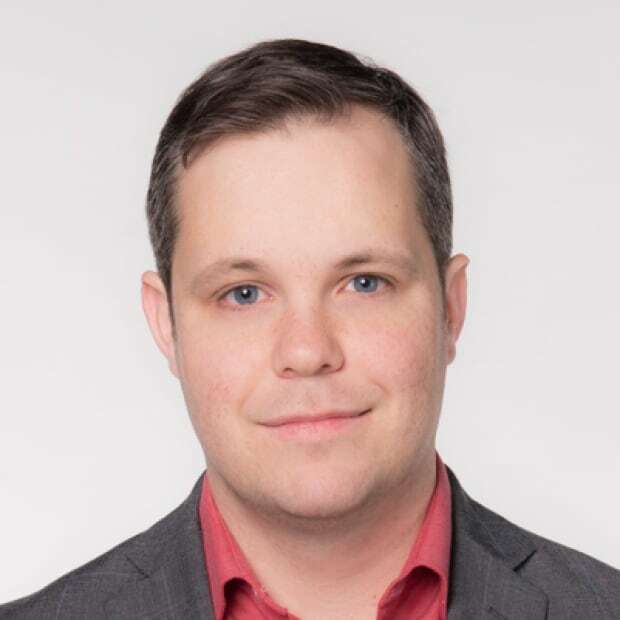 Yes Vancouver candidate Hector Bremner has promised a target for new housing bigger than Stewart's — though debate over his plan focused on whether the redevelopment necessary for it would result in too many market condos. "You've had the courage to talk about the need to densify this city. But the problem I've always had with your plan is it talks about supply without talking about affordability," said Sylvester. "I see towers when I read your plan." "Then you didn't read it," said Bremner. "We are the only people talking about real affordability," he added, saying his "housing dividend fund" would take a percentage of the new land value created from rezoning into rental subsidies and new affordable housing units. The other candidate in the race, Coalition Vancouver's Wai Young, has less specifics in her plan, aside from repealing the recent decision to allow duplexes in all single-family neighbourhoods and a freeze of selling city-owned land. But she argued that the rest of the candidates would either continue Vision's policies, or would be "Vision light" and promised to do "collaborative planning." "We need to look forward. We need to gather all the good ideas. We need to implement them," she said. Where do Vancouver's mayoral candidates stand on the issue of bike lanes?